Despite having tons of health benefits, ketoproof tea fits right on in with my breakfast and lunch schedule. I do intermittent fasting, and ketoproof tea gives me plenty of energy along with satiation through the morning fasting hours. I decided to take on an iced approach since I really like a cold drink in the morning and it helps me get it down much quicker in my morning eating window. 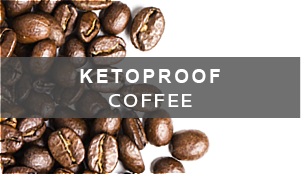 Since I don’t do a full day fasting, drinking ketoproof tea in the morning really ramps up my metabolism with the fats, amino acids, and caffeine. Keep in mind that even if you don’t fast, this is still a wonderfully healthy and filling breakfast. 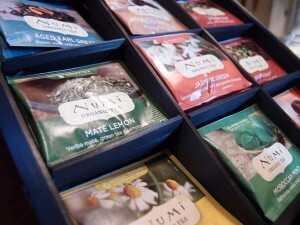 I started using Numi Organic Tea and I love it. I got myself a sampler set on amazon, and it’s only $23. You get 9 flavors, with 5 teabags of each flavor. It’s a great way to test for what you like, and what you don’t and then order them much cheaper in the single packets. In fact, they’re around 27 cents a teabag if you start ordering individual flavors. So far I’ve actually enjoyed all of them, but I have a preference toward the Golden Chai and Gunsmoke Green. 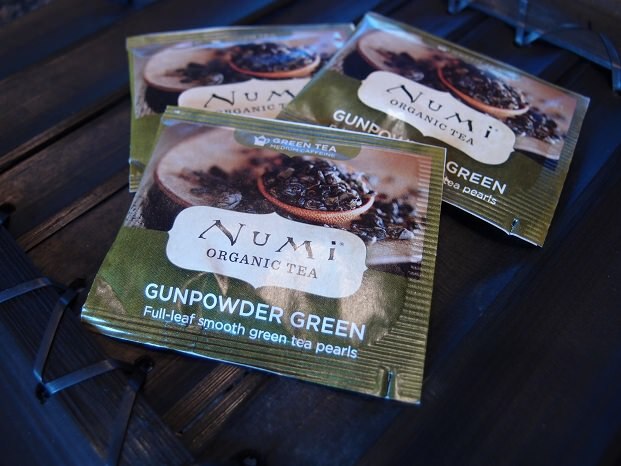 I figured since this is ketoproof tea, gunpowder green was a very fitting name for the tea of choice! Heck, we should start calling it Gunsmoked Ice Tea – has a nice ring to it, don’t you think? 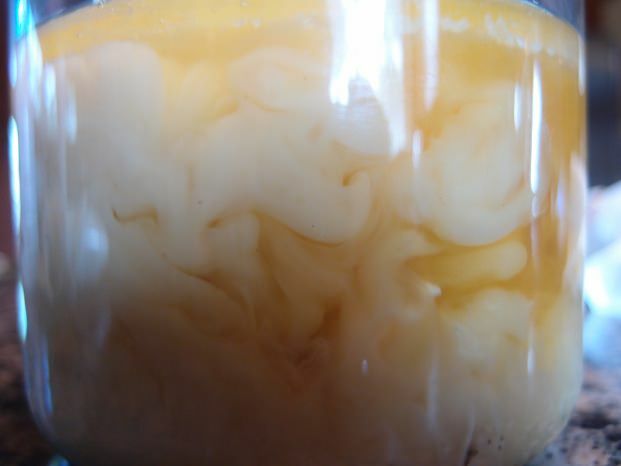 Coconut Oil or MCT Oil – Coconut oil technically is MCT (Medium Chain Triglyceride) oil, well about 65-80% MCT anyway. MCT oil is just more concentrated than coconut oil, but both have been shown to aid in fat loss. I use coconut oil because, to me, it gives it a nice taste and it’s a heck of a lot cheaper! Grass Fed Butter – Cows that have a diet of fresh grass yields butter that has improved consistency and nutritional properties. 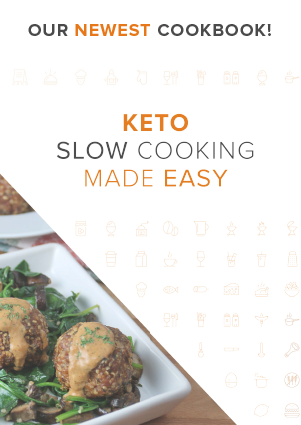 The nutritional quality also increases, it’s loaded with Vitamin K2, Omega 3 Fatty Acids, and an increased amount of saturated fats. Green Tea – With a myriad of health benefits that are covered below, green tea not only gives you energy from caffeine and amino acids, but also can improve your overall health. Polyphenols – These function as antioxidants in your body, reducing the formation of free radicals in the body and helps to protect your cells from damage. The most powerful antioxidant in green tea is Epigallocatechin gallate (EGCG), which has shown to be effective against fatigue and is used medicinally for HIV and Cancer patients. Improved Brain Function – not only does green tea contain caffeine, it also contains L-theanine, which is an amino acid. 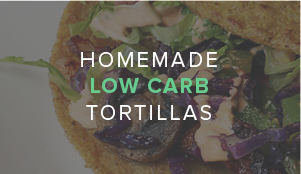 L-theanine increases your GABA activity, which improve anxiety, dopamine, and alpha waves. This leads to a much more stable energy than coffee. Increased Metabolic Rate – Green tea has been shown to improve your metabolic rate. Independent studies were done on 10 males, where their BMR increased by 4% for the entire day. That’s a lot just for having a cup of green tea! 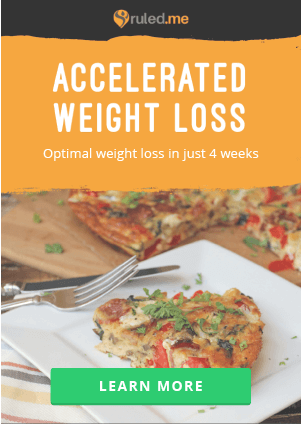 In combination with the caffeine, this can lead up to 15% increased fat oxidization and 10% physical performance increase. Water Temperature – You want your water temperature to be between 160°F and 170°F. Why? 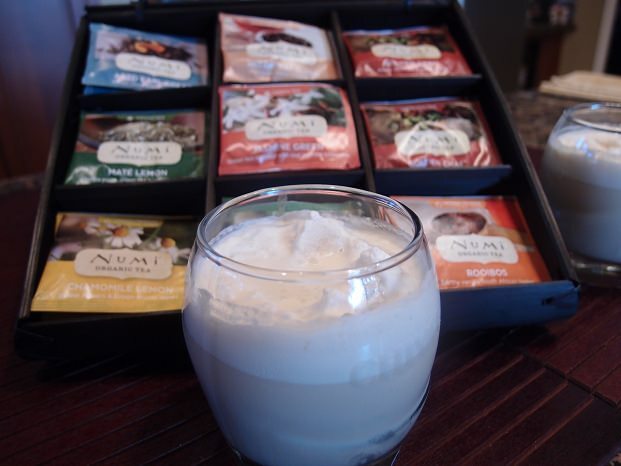 Amino acids dissolve at 140°F, leaving you with a good punch of nutrition in your tea. The tannins in the tea start to dissolve at 175°F which leave an unforgettable bitter taste in your tea. 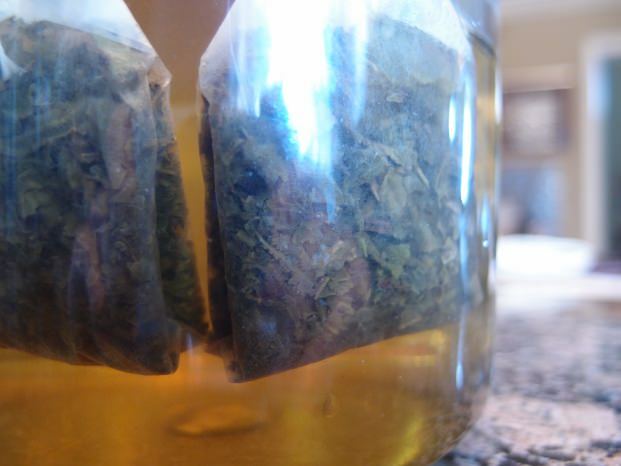 With green tea, brewing at the correct temperatures brings out the sweet and complex flavors, without being overpowered by bitter notes. Length of Steep Time – Steep times are very dependent on the tea that you have, but are crucial in how the tea turns out. You want to steep your tea at lengths of 2-4 minutes, allowing the flavors to develop while not allowing too much bitter flavor to come through. Your steep times should be in measure with your water temperature. Lower temperatures require longer steep times, and higher temperatures require shorter steep times. Recommendations – When you boil your kettle, walk away for 5-10 minutes. This allows the boiling water to cool down enough for you to properly steep your teas in. This stops the aromatics from being destroyed or overpowered. But, don’t let the water cool too much. If the water is too cool, the flavor cannot be extracted, and the nutrients will also remain in the leaves. I know that some of this may sound pretty annoying – I mean it’s just a cup of tea, right? 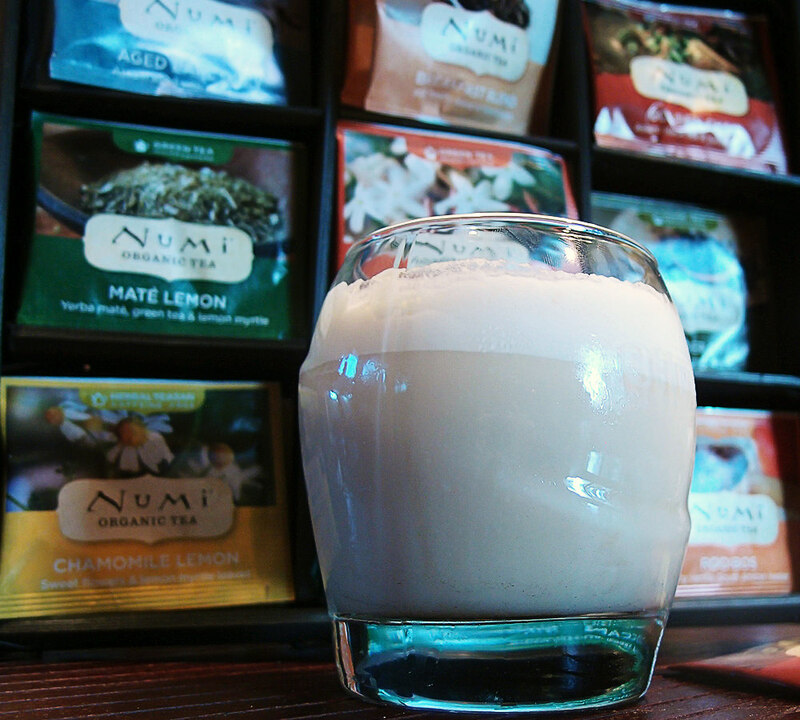 In the end, you want the most flavorful and nutritious cup of tea, don’t you? You’ll get the hang of it! Organic green tea is pretty necessary here. Lower quality green teas show an excessive amount of fluoride in them, which can end up having negative effects on your kidneys and thyroid. 1. Start by grabbing a good organic green tea. 2. 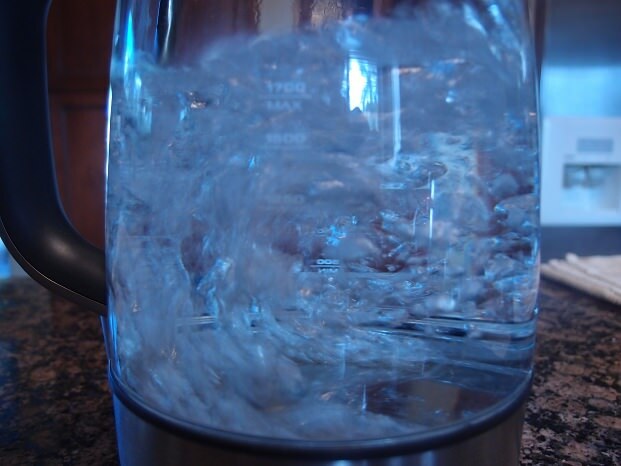 Boil your kettle – make sure you use filtered water for this. It comes out with an overall cleaner taste. If you don’t have a kettle, you can boil the water on the stove in a pan. Once your kettle finishes boiling, let it sit for 5 – 10 minutes. You want the water temperature to be between 150F and 175F. 3. Get your teabags ready in a large container. I’m brewing 2 cups worth of strong tea. 4. 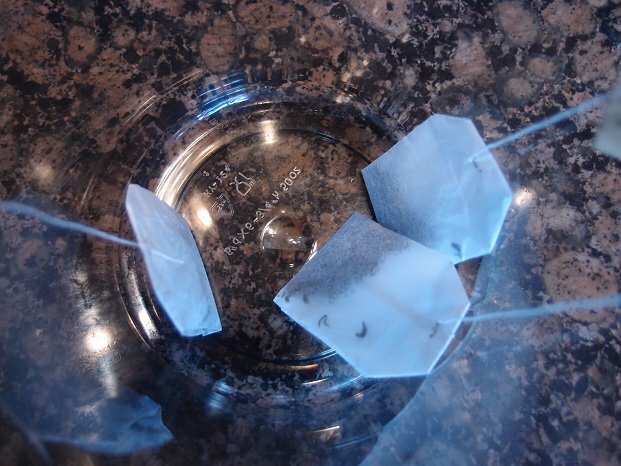 Let your teabags brew in the water for 2-4 minutes, depending on what strength level you’d like. 5. Remove your teabags from the water. 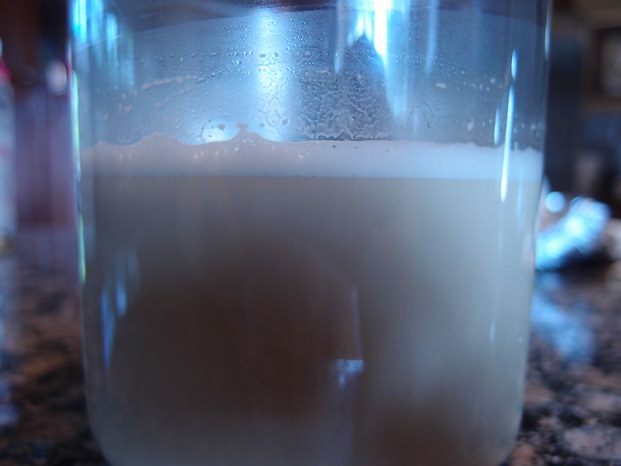 You want to make sure you’re not getting too much dilution in your tea. 6. Add your butter and coconut oil to the tea. 7. 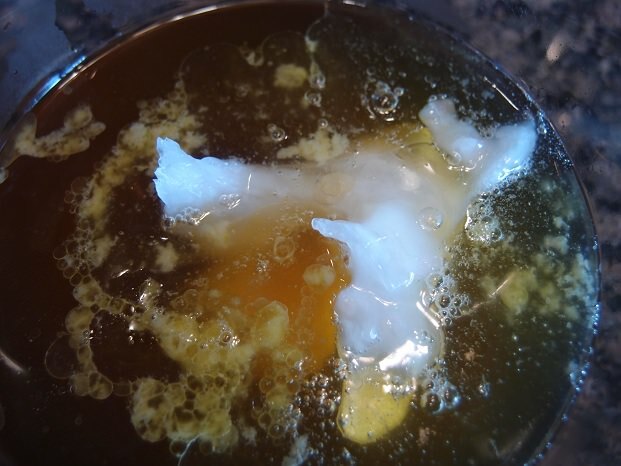 Add your heavy cream to the tea. It should change the color of the tea almost immediately. 8. You need to mix the tea with an immersion hand blender. The fats won’t mix if you don’t apply enough pressure to them, so a fork is out of the question. 9. 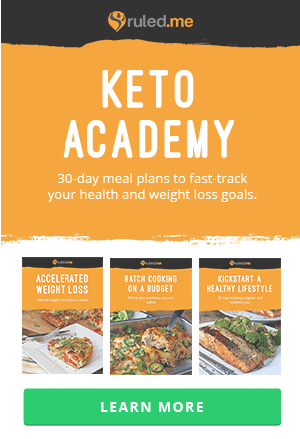 Start to blend your ketoproof tea. You’ll notice that froth starts to build up. 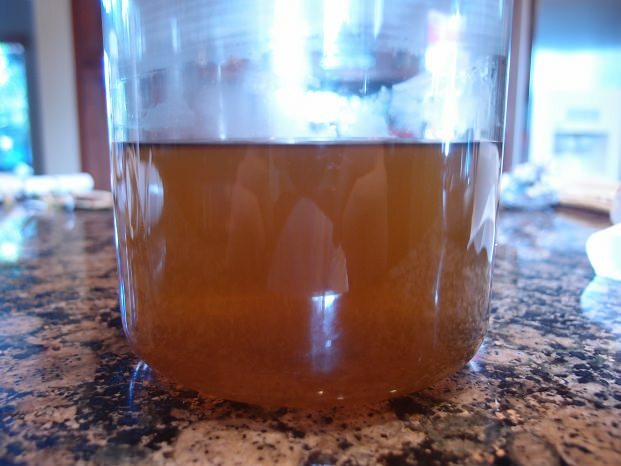 This is just air coming into the tea – keep blending for about 2 minutes. 10. 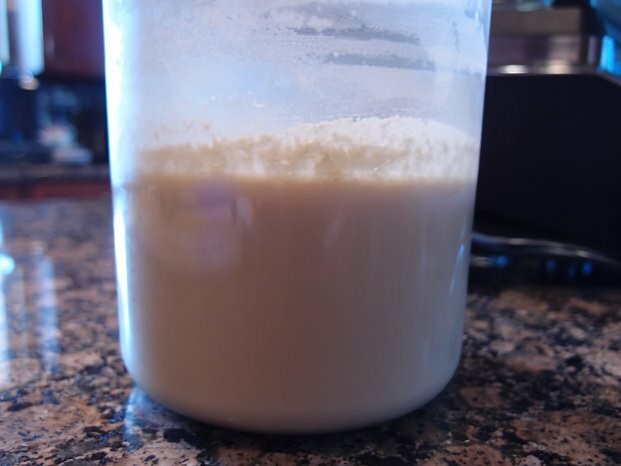 Once finished, you should have a thick layer of froth on the top. 11. It’s time to chill the tea. 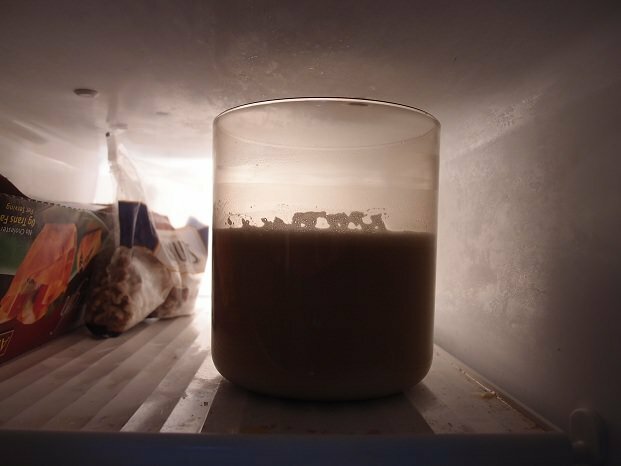 If you are short on time, you can leave it in the freezer for at least 2 hours. Preferably, you can refrigerate this the night before and in the morning the tea will be chilled overnight. 12. 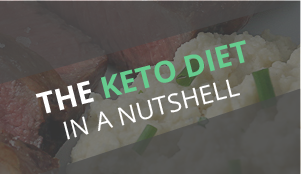 Once you take it out of the freezer, you shouldn’t notice too much of a separation between fats. That’s because we spent the time to blend them before chilling it. 13. 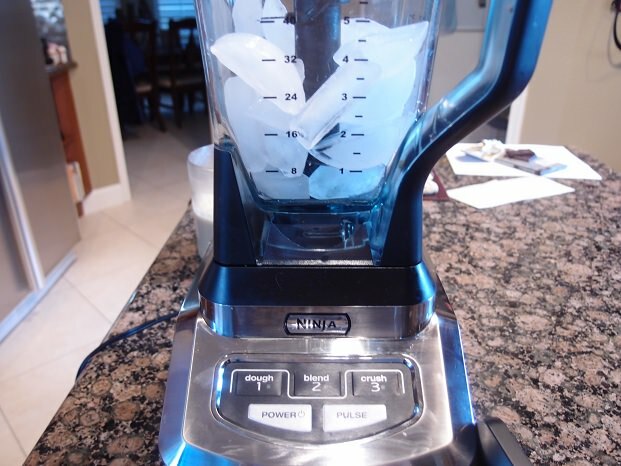 Get your blender out and add your ice to it. I use a Ninja Blender, which cuts through everything I give it. 14. 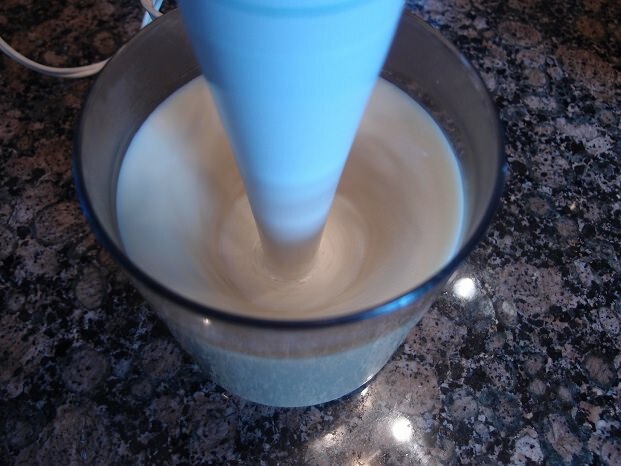 Add your tea to the blender, you should have around 1.25 – 1.5 litres of liquid in there. 15. 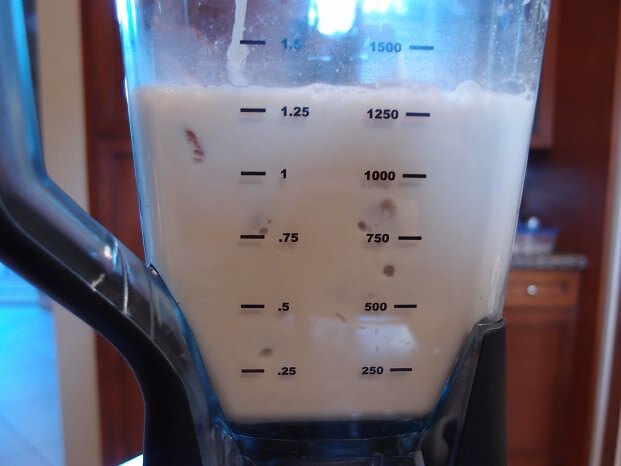 Blend everything together for about 5 minutes. You really want to make sure that the ice is thoroughly broken down and everything is incorporated well. 16. Once finished, it should look like an iced slushy. 17. Ration it out in a cup, or just drink the whole thing! I personally drink the whole thing. It keeps me full for the entire day. 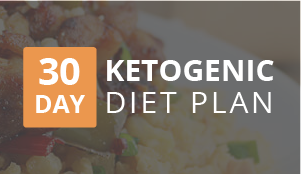 This makes 1 serving, if you were to drink 1 cup of ketoproof Tea it would come out to: 503 Calories, 55.39g Fats, 0.43g Net Carbs, and 0.67g Protein. Brew your favorite cup of tea, but double it. 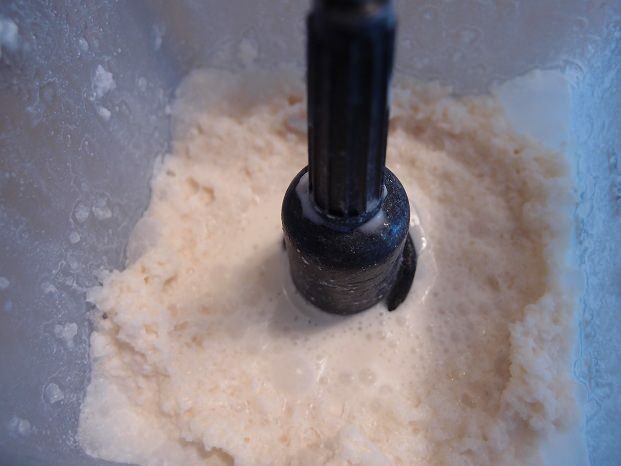 Add your coconut oil and butter and blend it well, making it frothy. 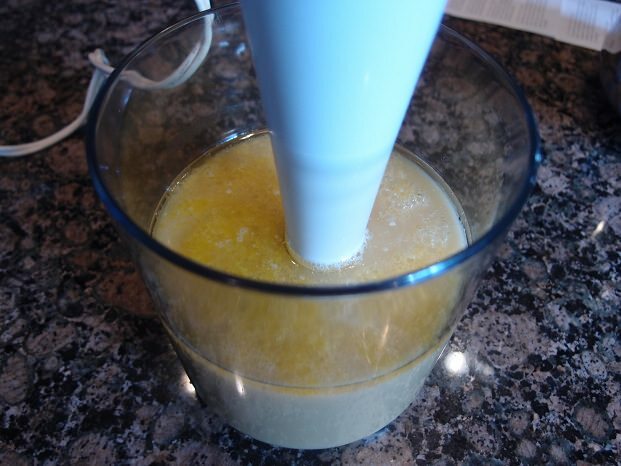 In a blender, add your ice cubes and tea. 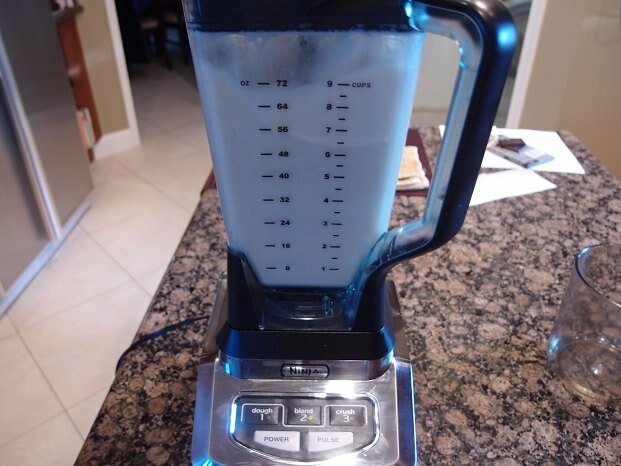 Blend for 3-5 minutes, until it is well incorporated. In vivo antioxidant effect of green and black tea in men.